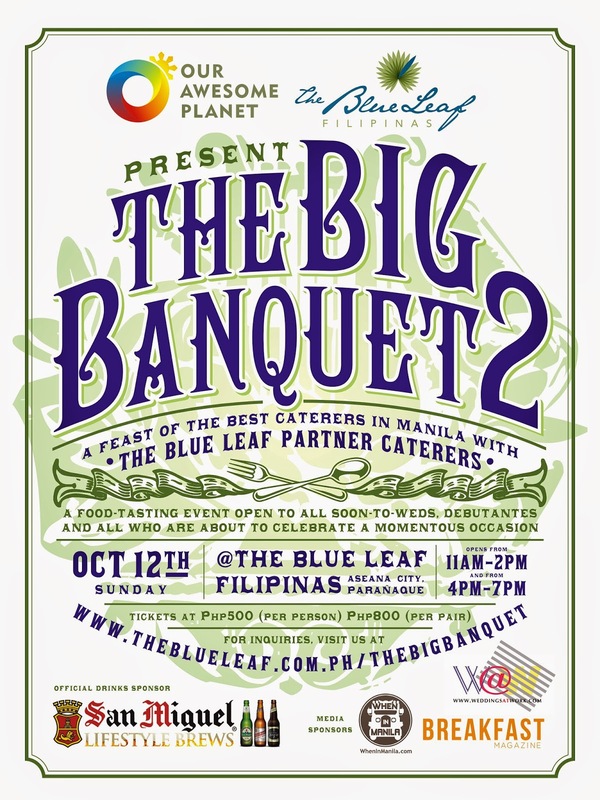 Experience a One-of-a-Kind Food Tasting at The Big Banquet 2 at The Blue Leaf Filipinas! One of the things you remember the best about parties you go to is the food served, right? It's one of the things I am also excited about whenever I plan parties for my kids! I remember both my sisters go through several food tasting for several weeks for their weddings. It can be tedious, right? Imagine not having to go from one caterer to another for you food tasting but doing it all altogether in one location. If you're happen to be in this dilemma or situation, then you must vheck out The Big Banquet 2. 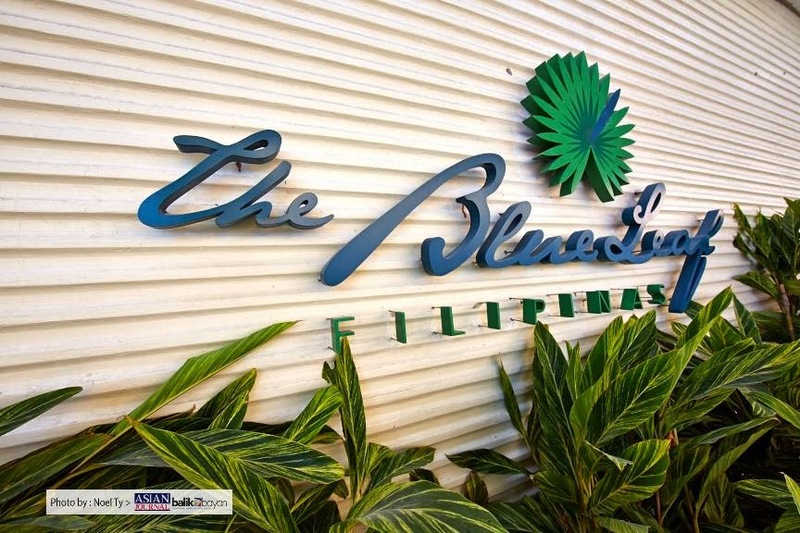 The Blue Leaf Filipinas, one of the country’s premier venues for weddings, debuts, and other milestone events, presents The Big Banquet 2 in cooperation with Our Awesome Planet, the number one food and travel blog in the Philippines. 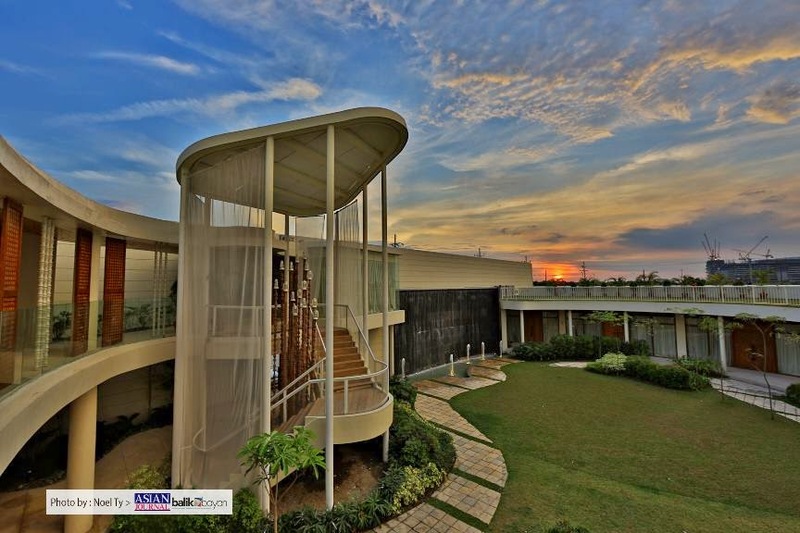 Set amidst a garden landscape with a five-meter waterwall, The Blue Leaf Filipinas takes pride in its world-class architectural design featuring capiz doors, abaca chandeliers, and a barandilla balcony. 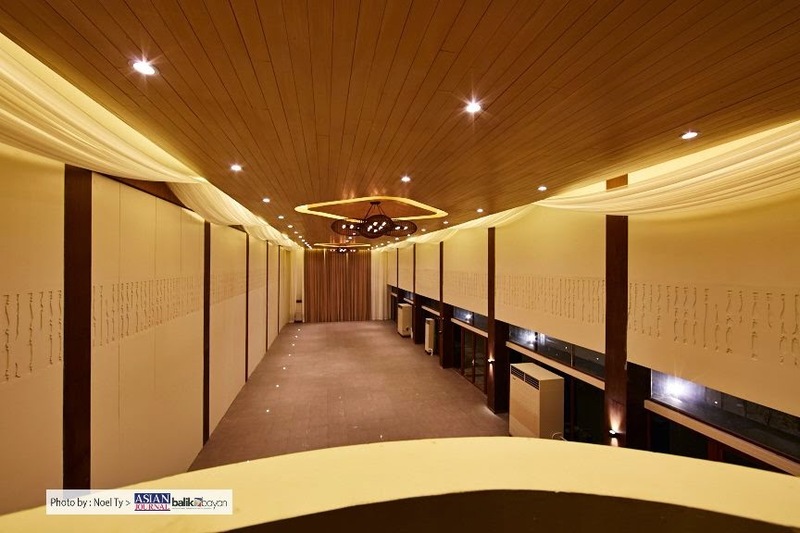 It offers three festival=inspired halls alongside three music-themed function rooms. Following the success of The Big Banquet last May 2014, The Blue Leaf brings back this one-of-a-kind food tasting event on October 12, 2014, Sunday, at The Blue Leaf Filipinas in ASEANA City. Set in a world-class venue that is The Blue Leaf Filipinas, The Big Banquet 2 promises to be a memorable culinary event as nine caterers serve a curated spread of thoughtfully prepared dishes. Albergus, Bizu, Hizon's, Josiah's Catering, Juan Carlo, K by Cunanan, Mesclun, The Red Chef, and TJIOE will each be serving four-course meals highlighting their best appetizers, main courses, desserts, and signature drinks. Each caterer will also present a surprise dish as a special treat! And just like the first Big Banquet, guests will also be able to critic the food. Each guest will be given a rating card where he can write down his thoughts on food and presentation. Our Awesome Planet will gather these rating cards, and reveal the best dishes on his blog! www.theblueleaf.com.ph/thebigbanquet or call 0917-6272425 or 5707827.